If you can't find the perfect stripe fabric, have you ever considered designing your own? 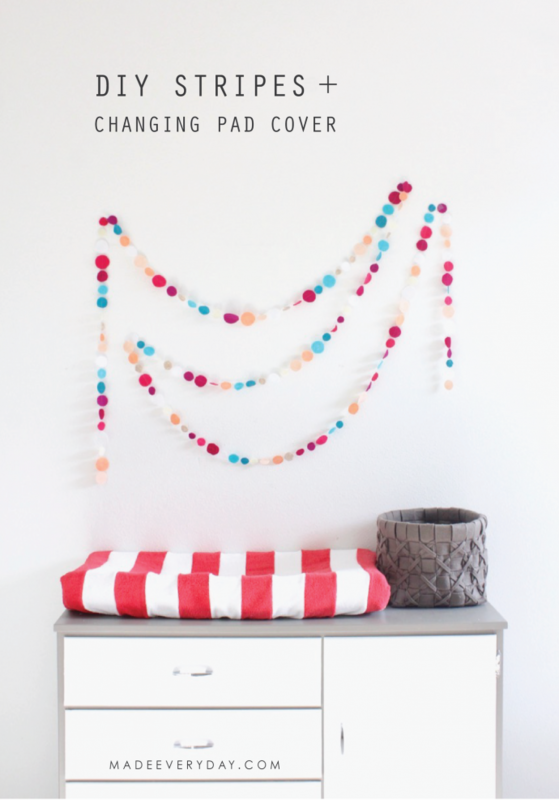 Dana Willard of MADE Everyday discusses how making stripes is one of her favorite DIY fabric projects in her adorable Changing Pad Cover Tutorial. Perfect for your little ones or a gift for an expecting loved one, you are sure to love this easy-to-sew project. Click here for the entire tutorial and happy sewing! When creating her stripes, Dana uses 4-inch wide strips from her fabric, but you could use any width you like. Try mixing stripes of varying sizes for a one of a kind design.